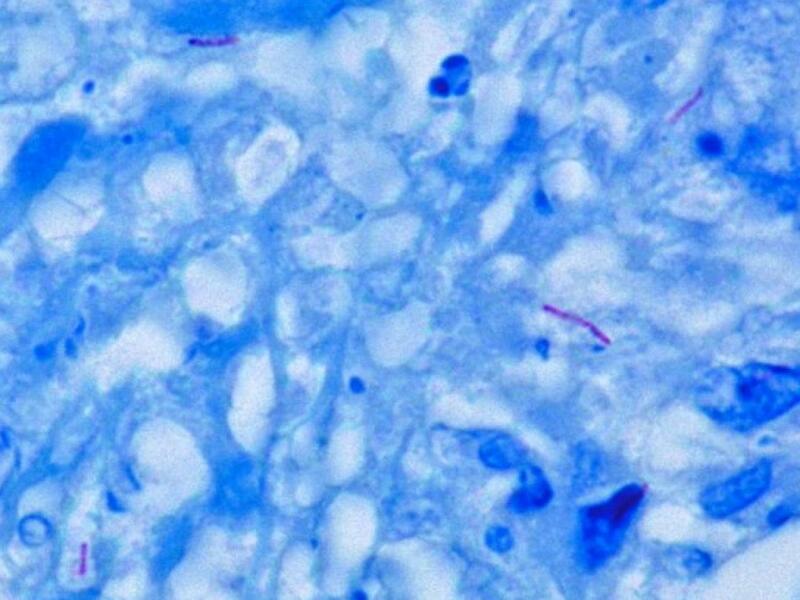 The scope for developing a new vaccine against the dreaded disease of Tuberculosis (TB) through the biological route has become brighter, with researchers at the Kolkata-based Indian Institute of Chemical Biology (IICB) and Bose Institute identifying a potential trouble spot and figuring out ways to deal with it. The stability, delivery efficiency and specificity of a biologically-derived drug are often optimised by combining it with a nanoparticle. However, the conjugation of a bio-molecule with nanoparticles is easier said than done. The task is particularly difficult when it comes to proteins as they are very dynamic and their structures could change with changes in their environment or their sequence. Consequently, their level of activity can also change. Sometimes, even a slight change in the protein environment or a subtle modification in their sequence can result in a radical change in protein conformation that can transform it from being highly active to being totally dormant or vice versa. Over the years, scientists across the world have conducted studies on different aspects of MPT63. But none so far on the issue of what would happen if the protein were to be combined with a nanoparticle. Researchers at the IICB and Bose Institute recently took up the task and they have come up with some interesting findings. They found that the protein turned inactive when combined with a nanoparticle. But, it could be reversed through some careful manipulation of the sequence through genetic engineering. Speaking to India Science Wire, leader of the research team, Krishnananda Chattophadhyay, said, “We were prepared for any result though we were hoping against hope that everything will be fine. But, it was not to be. Our worse fears came true. The protein, which was so active in its native form, became dormant. We then conducted a detailed genetic analysis and found that the switch from active to dormant conformation was being modulated by a few small sequences within the protein. We changed the sequence slightly in the problem areas using genetic engineering techniques and the protein became functional again”. Besides its application in finding a breakthrough against TB, the new work is expected to be of importance in terms of the further development of the growing sector of biopharmaceuticals. “Big pharmaceutical companies worldwide are investing billions of dollars in developing biopharmaceuticals, which are based on large molecules, mostly proteins like monoclonal antibodies. Any slight change in these proteins—be its nanoparticle binding or its adsorption onto the vial it is stored in a pharmacy—can result in its loss of activity, making the drug practically useless. Our work may perhaps come handy in solving the problem”, he said. Apart from Chattophadhyay, the research team consisted of Achinta Sannigrahi, Sayantani Chall and Amrita Kundu of Structural Biology & Bio-Informatics Division at IICB, and Junaid Jibran Jawed, and Subrata Majumdar of the Department of Molecular Medicine, Bose Institute, Kolkata. The team has sent a report on their work to the American Chemical Society’s journal, Langmuir, which has accepted it for publication. The work was conducted with a fund from the Science and Engineering Research Board that comes under the Union government’s Department of Science and Technology.